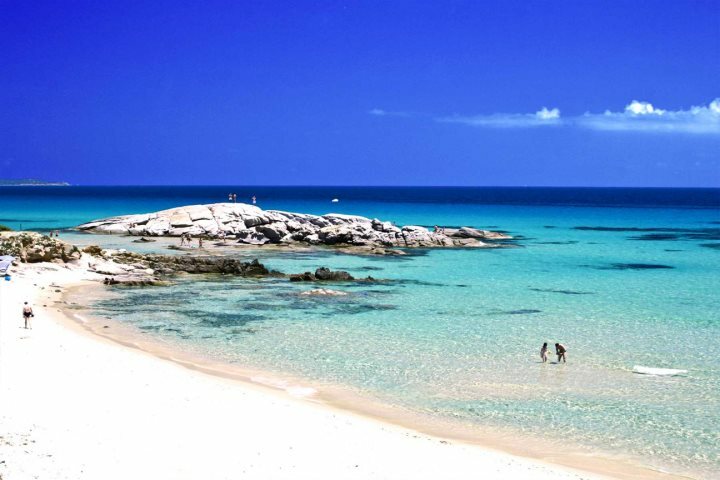 With crystal clear water and fine golden sand, Peppino is a sure favourite for any beach lover. On the south-east coast of Sardinia, north of Villiasimius, you’ll discover Scoglio di Peppino (Peppino’s Rock). Nestled between the beaches of Costa Rei and Santa Giusta, this beautiful beach with fine golden sand and a gently sloping seabed looks deserted, but come high season it transforms into a busy and bustling area, popular with locals and tourists alike. Parasols, sunbeds, rubber dinghies, canoes and pedal boats are available to rent here, and there’s a restaurant and toilet facilities. With crystal clear water of peppino, where the shallows warm up nicely in the summer sun, there’s little wonder as to why this beach is so popular during peak season. If you’re a self-confessed beach lover, and will now dream of lying on the golden sands of Peppino beach, you’ll be pleased to know our Hotel Villas Resort is located close by. You’ll find you’re utterly spoilt for choice on the beach front, with Cala Pira, San Pietro, Santa Giusta, Porto Pirastu and Capo Ferrato being just a selection of the beaches close by. 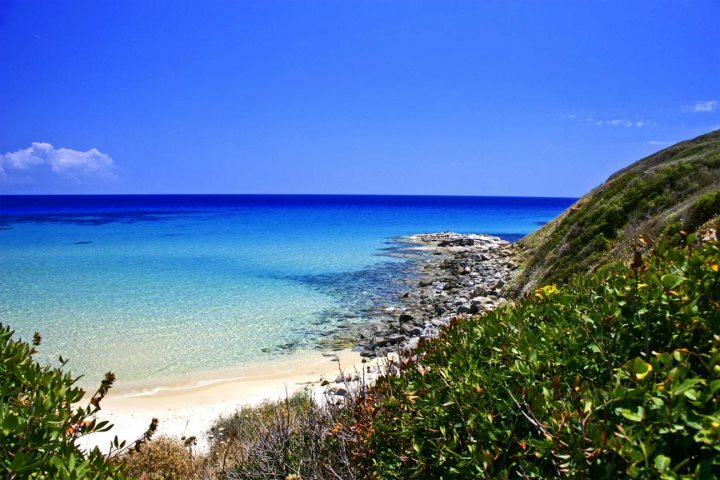 You can find out more by visiting Sardinian Places.